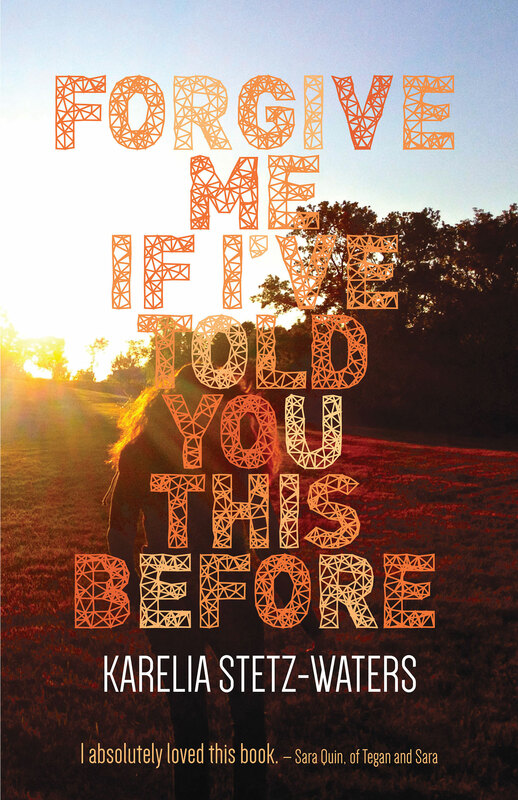 I’m happy to announce that the ebook for Forgive Me If I’ve Told You This Before is now available. The release began last Saturday with a promotion to celebrate National Coming Out Day. Anyone who downloads a copy and links a review on Amazon or Goodreads to our Twitter by October 31 will be entered in a drawing for a signed hard copy. We expect the buzz about the book to increase now that music duo Tegan and Sara spread the word to their fans. We are extremely grateful and honored that they would write such kind words on their Instagram, Twitter, and Tumblr. Karelia and her wife are excited to see them on November 12 when they play in Portland. Karelia is also looking forward to Forgive Me‘s official launch at the bookstore Another Read Through. She has been hard at work, collaborating with the store’s owner, Elisa. They are turning the event into a celebration not only of the book, but also of LGBTQ activism. Karelia is putting together a panel to discuss the issue and honor how far we’ve come since the early 90s when the book takes place. Joel, Ooligan alum and owner of Eisenhower Bagel House, is graciously donating refreshments for the event, and we are creating promotional items for a drawing. My team has been hard at work reaching out to local media to announce the events. They have also been diving deep into the world of social media, finding the best and newest ways to reach our target audience. In the next few weeks, we will continue to plan events, schedule readings and interviews for Karelia, apply for awards, and tell everyone we possibly can about this book and that it will officially be available on October 31st!